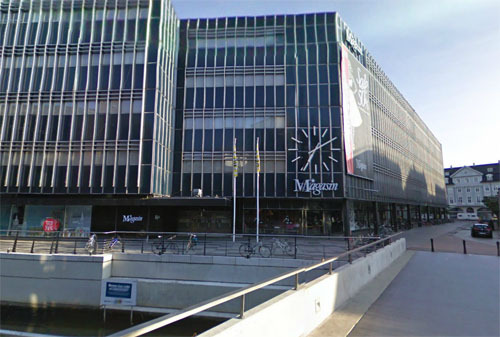 Magasin du Nord is a Danish chain of department stores. 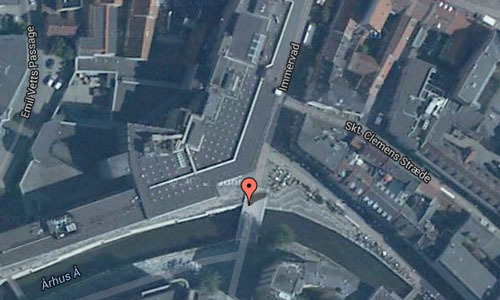 Its flagship store is located on Kongens Nytorv in Copenhagen. The company is a subsidiary of the British department store retailer Debenhams. The company traces its roots back to 1868 when Theodor Wessel and Emil Vett opened a draper’s shop in Aarhus under the name Emil Vett & Co. It was an immediate success and in 1871 moved to Immervad where the Aarhus store is still located, as shown on the pictures above. In 1870 the company opened a shop in Copenhagen in rented rooms in the mondain Hotel du Nord on Kongens Nytorv where Hans Christian Andersen had borded from 1838 until 1847. 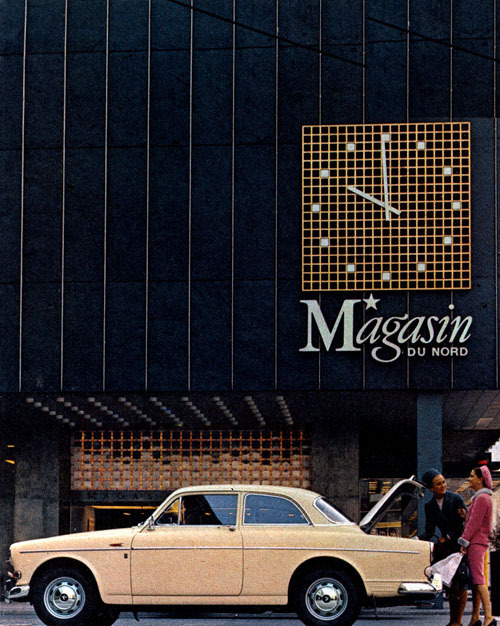 The shop occupied an ever larger part of the hotel and the company adopted the name Magasin du Nord after it in 1879. In 1876 the two owners also founded a textile manufactury in Nørrebro, Vett, Wessel & Fiala, which later moved to Østerbro where it also produced textiles for furniture. The factory has now been demolished. By 1889, Magasin du Nord had taken over the entire hotel. It was demolished in 1893 together with a neighbouring building and the current department store building was completed the following year in a French Renaissance Revival style to designs by the architects Henri Glæsel and Albert Jensen. The executive architect was Olaus Mynster. 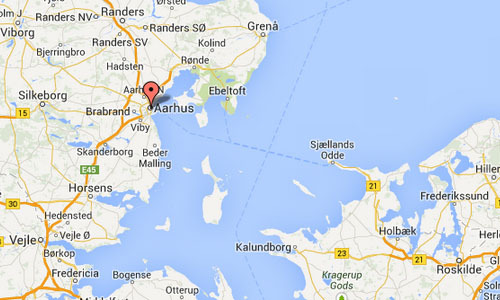 The company opened branches throughout Denmark. In 1892, it had 50 stores all over the country and by 1906 the number had grown to 98. In 1911 the Th. Wessel & Vett branch followed in Malmö. The company was listed on the Copenhagen Stock Exchange in 1952 and the strategy was changed to having fewer, large department stores. More information on www.magasin.dk and en.wikipedia.org.